Personally, I loved Melo when he was hoopin at St. Vincent – St. Mary High School. Twitter is the best. 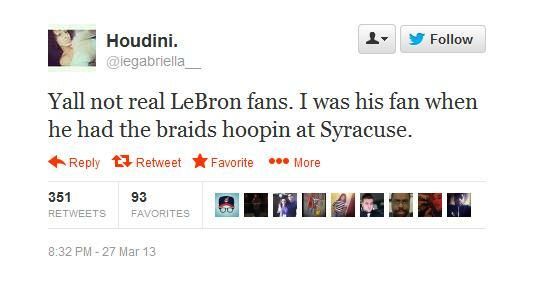 This entry was posted in Basketball and tagged Carmelo Anthony, lebron braids syracuse, Lebron James. Bookmark the permalink.